ETEM successfully presented its products at the four-day specialized exhibition AUTOMOTIVE FORUM & EXPO in Sofia, organized by Automotive Cluster Bulgaria. The Forum aimed to cover all types of new technologies, electric vehicles, auto parts and components, car service equipment and garage equipment, accessories and consumables for cars, vans/ light commercial vehicles and heavy trucks. Emphasis in ETEM's presentation was the wide range of aluminum semi-finished and finished profiles designed for automotive industry. 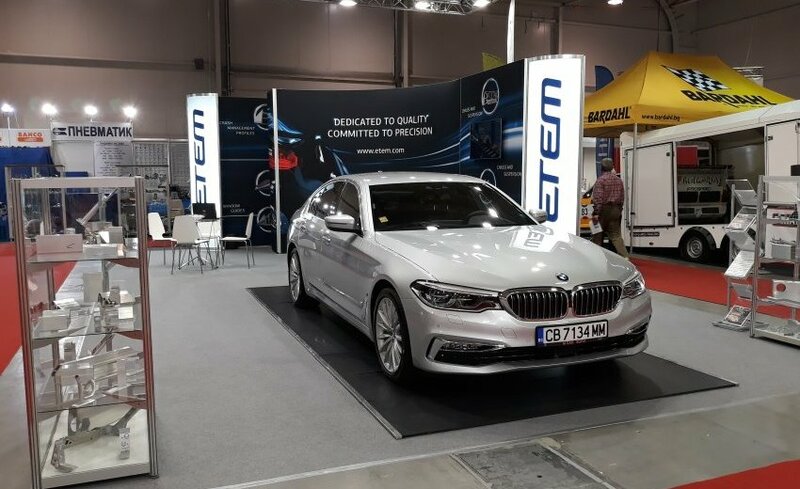 Situated in front of the company stand, the car BMW530e, which incorporates ETEM profiles, attracted the interest of visitors. AUTOMOTIVE FORUM & EXPO included also a wide range of networking and seminars for exhibitors on current topics in the industry. ETEM’s Chief Operating Officer Johan van Putten took part in the expert conference to the exhibition. He presented the specialized production of ETEM for aluminum boxes designed for batteries of electric vehicles. Human Resources Business Partner, Velimir Velikov during the conference "Career Days for the Automotive Industry" presented the opportunities for successful professional growth in a company with ever-increasing commercial activity, coupled with its worldwide expansion and technological innovation. The event brought together the key figures in the automotive industry and became a platform for individual meetings, discussions and new contacts. AUTOMOTIVE FORUM & EXPO 2018 successfully launched the beginning of a biennial, which will take place every even-numbered year.